Colonial Farmington residents were not immune to crime. They faced property loss at the hands of their neighbors, visitors, and vagabonds. It is difficult to understand the frequency of burglary in the 1700s as individual towns kept separate court records and these documents have since been lost or archived in repositories spread across the state. Thankfully, Farmington’s Solomon Whitman’s papers still exist at the Connecticut State Library. Thus his judgments for twelve accused thieves during his tenure as Justice of the Peace in the town from 1763-1769 are accessible and provide a deeper look at life for colonists and their experiences with the lower courts. Beginning in 1735, Connecticut legislature sought to further refine the prosecution and punishment revolving around stealing property. In this first legislation they laid out escalating reprimands for first, second, and third offenses. The law defined petty theft as fewer than 20 shillings with the first crime being punished by any combination of: fined three times cost of the theft, branding, whipped fifteen stripes, and to have the right ear cropped. With a second theft conviction a person could be whipped twenty five times and have the left ear cut off. Finally, the third time a court found a burglar guilty the punishment was death. Yet although these crimes could be violently punished judges in Connecticut did not choose to frequently brand, crop, or kill offenders. Connecticut courts convicted several thieves three or more times, but only one faced the death penalty: Isaac Frasier. Frasier continually escaped authorities and burglarized his way across New England in the 1760s and Farmington hosted this infamous burglar during a brief respite from crime in the Spring in 1761. In his biography he stated that he “went to Farmington, in Connecticut, where I inlisted (sic) under Capt. King, but at the marching of the company being out of health (small pox), was left behind.” Frasier tried to work as a laborer in Newtown, but quickly returned to his wicked ways. He became a notorious burglar throughout Connecticut, New York, and Massachusetts until his execution in Fairfield on September 7, 1768. 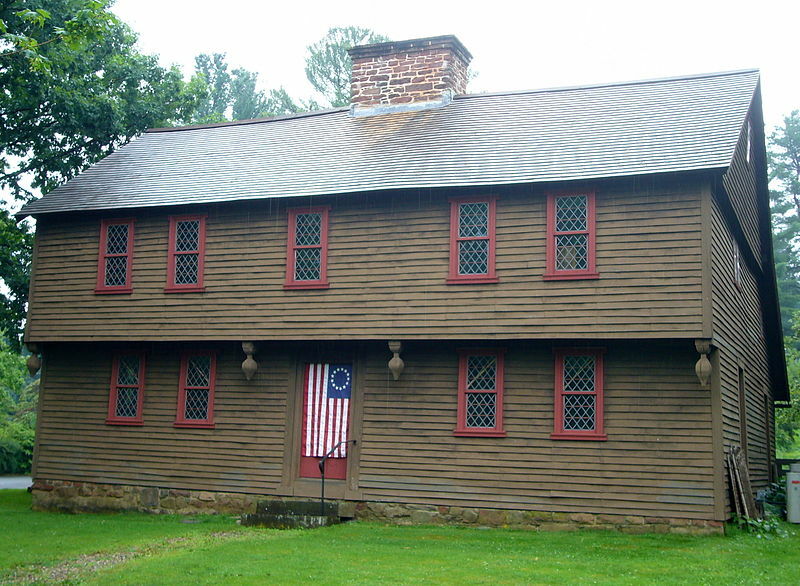 During this same time Connecticut colonists became part of the larger booming consumer market that flooded their homes with manufactured goods, providing easy fodder for burglars. Previously, the General Assembly of Connecticut heard cases from Farmington regarding theft involved livestock, food, or farming equipment. This changed after 1750 as the American colonial market for imported English goods rose 120 percent. By the end of the 1760s, burglars in Farmington commonly stole clothing, handkerchiefs, and other sundry house goods. The home of Justice of the Peace Solomon Whitman is now a museum. The horrific physical punishments inflicted on convicted thieves escalated as higher valued goods became easier to steal. In Solomon Whitman’s time he never disciplined a thief with branding or ear cropping and only sentenced two of them, Zophar Andrews and John Lewis, to be whipped. Other justices were not so lenient and took a harsher approach to criminal behavior. When authorities published information regarding the thief Isaac Frasier, they pointed to his many obvious markings as a repeatedly punished thief that he acquired after leaving Farmington. Newspapers printed that he had, “both his Ears cropt, and branded twice on his Forehead with the Capital Letter B.” Physical scars, brands, and cropped ears haunted criminals well after their crimes had been committed. Punishment for theft had a monetary component, often charging thieves with fines, damages, and fees to repay their victims for what they stole. In 1767 a new law reaffirmed the previous punishments and that thieves who stole over forty shillings could be sold into servitude to repay their damages and fees. Solomon Whitman had already begun this practice in 1766, so perhaps it was a solution practiced by the lower courts that eventually became formalized into law. The total debt and length of time of their servitude illustrated how these communities valued gender, age, and race when concerning payment through labor terms. Whitman sentenced three thieves to varying indentured terms to reimburse their plaintiffs. Transient John Hackenbottom, who stole a Holland shirt, silk handkerchief, and other goods from Moses Hills was sentenced to four months service. Whitman assigned mixed race African transient Syntha Bells who stole household goods from both Daniel Newell and to work for them for a year. Zophar Andrews of Farmington also received a term of servitude to New Haven resident Theophilos Goodger for a year after stealing money from him. Dividing their total debt by the months Whitman sentenced them; it reveals a clearer picture of the value the community placed on these individuals. Hackenbottom owed £2-17-0, which Whitman judged could be repaid with four months servitude, which amounted to fourteen shillings and three pence per month. Meanwhile, Bells owed £2-18-6 for her crimes and Andrews had fees amounting to £7-10-11. They were both sentenced to a year, making her monthly worth approximately four shillings and ten pence a month, while Andrews’ repaid his damages at twelve shillings and seventeen pence per month. Andrews and Hackenbottom’s monthly worth as white males were remarkably similar. Compared to these men, Bells, a transient African woman, had her labor valued at a third. Regardless of the fact that they were both vagrants with no communal attachments, Hackenbottom worked for four months to repay what took Bells a full year. 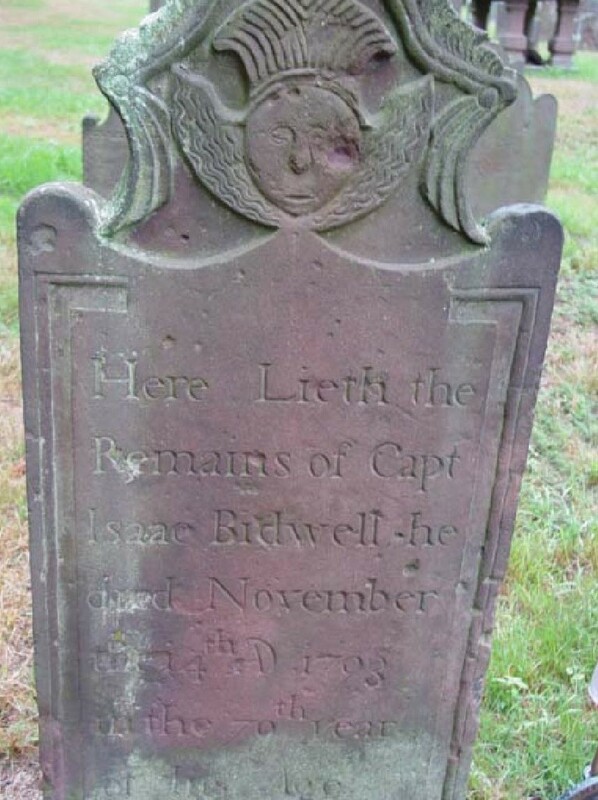 Isaac Bidwell’s gravestone at the Memento Mori Cemetery, Farmington. 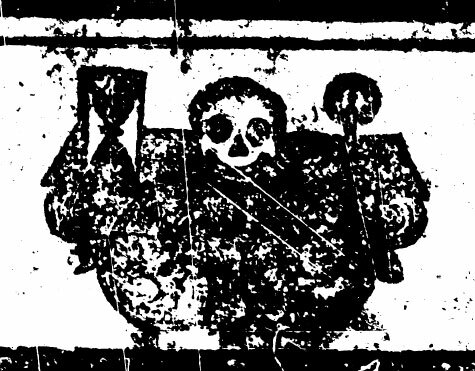 Syntha Bells stole household goods from Bidwell and Daniel Newell in October 1766. In the mid-18th century, Farmington residents brought more material wealth into their homes and saw theft in their community. Instead of inflicting physical harm on convicts, Whitman frequently chose to have them pay with money or labor for their damages. As a result of being unable to pay their fees this allowed three burglars to live in the communities where they had committed crimes and local officials like Whitman quantified the contributions these criminals could provide to their communities and judged how long it would take them to repay their victims. Daniels, Bruce C. The Connecticut Town: Growth and Development, 1635 – 1790. Middletown, CT: Wesleyan University Press, 1979. Frasier, Isaac. A Brife (sic) Account of the Life and Abominable Thefts of the Notorious Isaac Frasier. (New Haven, CT: T.&S. Green, 1768. Early American Imprints. Series 1. Evans 41823. Gaskins, Richard. “Changes in the Criminal Law in Eighteenth-Century Connecticut.” The American Journal of Legal History 25, no. 4 (1981): 309–42. doi:10.2307/845276.